MigraStem™ is the new path to body wellness and anti-aging. Created with revolutionary stem cell-supporting ingredients, this advanced supplement addresses health at the cellular and stem cell level, so your body can function at its best. Goji is one of the most powerful plants in herbal medicine and has been used in traditional Chinese and Tibetan medicine for more than 3,000 years. Goji berries are considered both a fruit and an herb. They are a rich source of powerful antioxidants, amino acids, polysaccharides, and proteins. For more about Migrastem™ visit the Product Facts. 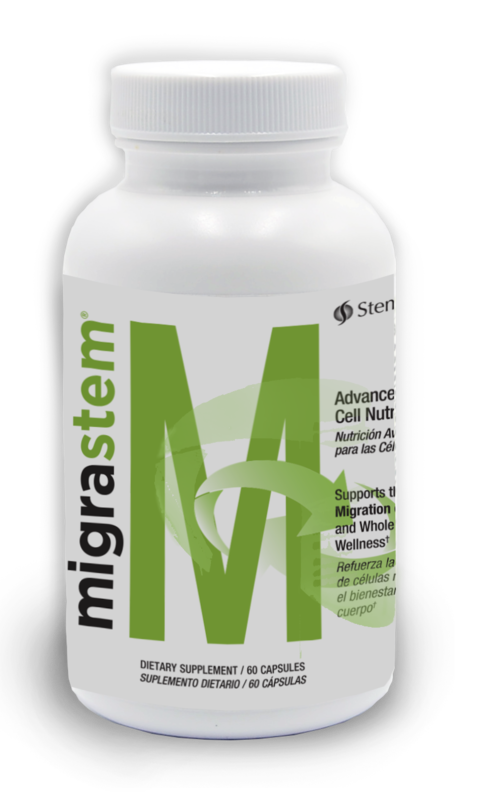 MigraStem is an important part of daily stem cell nutrition, supporting the natural release of stem cells from the bone marrow, while StemFlo supports the healthy circulation of your body’s own stem cells.† MigraStem and StemFlo are designed to perform synergistically with each other to provide you with extraordinary health and vitality. †These statements have not been evaluated by the Therapeutic Goods Administration (Aus) and Medsafe (NZ).